VENOSAN compression socks for men provide graduated 15 to 20mmHg compression in a ribbed sock. Indications: Mild Edema, slight varicose veins,tired legs, air travel. 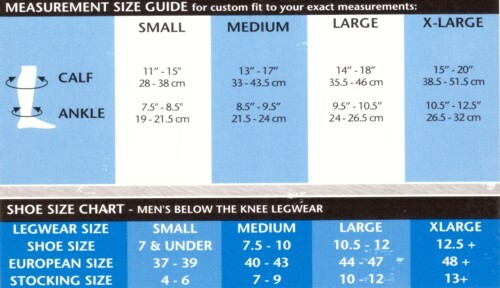 VENOSAN compression ribbed socks for men provide graduated 15 to 20mmHg compression. Indications: Mild Edema, slight varicose veins,tired legs, air travel.